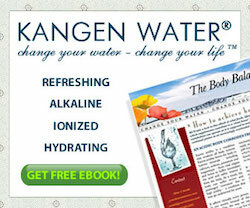 I have written about ionized water many, many times. Cannot Stress enough about the importance of having an Alkaline body and how Cancer and other diseases will not flourish in an Alkaline body. Just does not like it. 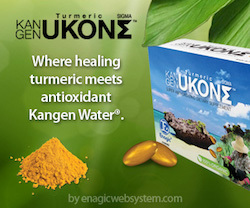 Because of the micro clustered water in good quality ionized water (Kangen Water) it goes directly to the cells in the body keeps you well hydrated and healthy. 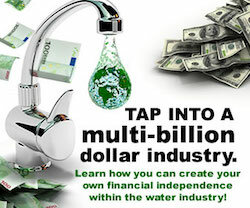 So to me these Kangen water machines are amazing. It’s a once in a life time purchase and will be the best purchase you will have ever made. To back up what I am saying up you need to watch this video. Bob Wright is the Director and Founder of American Anti-Cancer Institute. In the video he talks about a book: Killing Cancer – Not People, how to get your body more alkaline. He talks about the benefits of ionized water and why you need to reduce acidity. One of these studies showed that Alkaline Ionized Water had beneficial effects in excreting melamine in the body and reduced the incidence of urinary bladder stone caused by melamine accumulation(22). AIW exhibits high pH that affects the clustering of its water molecules hence producing reduced water cluster size. It is therefore suggested that this micro- cluster molecule makes the AIW efficiently enter and increase intracellular hydration, aid in flushing out and preventing wastes such as unnecessary materials from accumulating in the cell. This compound Melamine became headline news recently after the occurrence of an outbreak of urinary stones in infants and children consuming melamine-tainted milk in China. The nephrotoxic effects of melamine now warrant the attention of nephrologists, pediatricians, urologists, and radiologists. This is just one of the studies that have been done on the benefits of Alkaline Ionized Water. I will be intermittently writing about other health benefits of Alkaline Ionized Water on my blog which I find and I am sure you will also, very interesting. I am always interested in anything that will help alleviate or prevent any health problems that people may have. The excretion of melamine is one of them that is for sure. Of course as you know we have one of these Alkaline Ionized Water machines which I absolutely love and can’t live with out literally (well sort of). We also sell the machines and there is a great business opportunity connected with them as well. You are not only selling a great and proven product, it is solid product sales not a MLM scheme or any other scheme.